I wasn’t appointed to wear uniforms – Customs boss replies Senate – Royal Times of Nigeria. 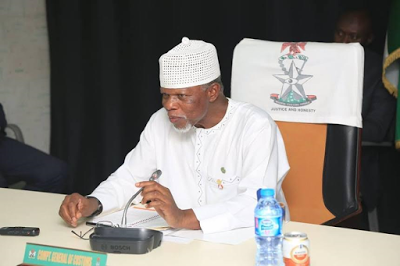 The Comptroller-General of Customs, Hammed Ali in an interview with TVC said he was not appointed to wear uniforms. He wondered if the uniform would do the job or the individual appointed. The Senate had earlier queried him for failing to wear uniform when he appeared before one of its committees. He said; “No! I was not appointed Comptroller General of Customs to wear uniform. Does Uniform work or the person behind the uniform? The senate is also angry with Customs officials over the recent trend of storming shops and storage houses to seize items believed to have been smuggled into the country. Members of the senate unanimously agreed to order Ali to appear before the house to explain the controversial new policy of Customs Service asking car owners to report to their offices to verify if the import duties for their cars were fully paid for. According to Customs, defaulters would have their cars impounded.